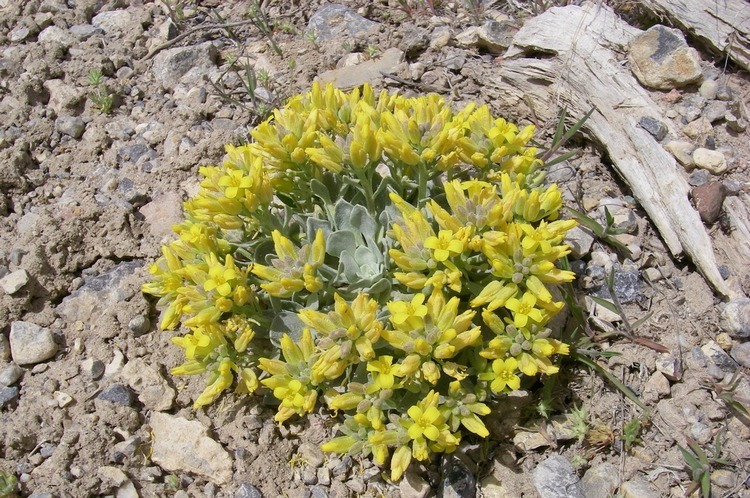 No sooner do the first wildflowers of spring begin to paint the mountainsides than Jazz music fills the air around Nevada. A consortium of Las Vegas investors has bought Tonopah’s historic Mizpah Hotel and announced plans to reopen it later this year. 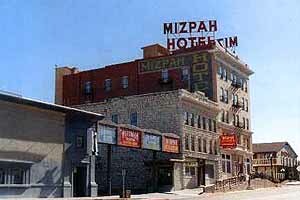 The Mizpah advertised itself as “the finest stone hotel in the desert” when it opened in 1908. It was a 6-story building, but a series of flash floods in Tonopah’s steep streets persuaded the proprietors to raise the street level around the structure, so the original lobby and main floor is now the basement, and it’s a 5-story building. It’s possible to go downstairs, thread your way through the kitchens and storerooms and out the original front door, beneath the built-up sidewalk overhead. Next door is the old front entrance to the bank, with the old vault inside, long used by the hotel for storage. The bank building has been a part of the hotel for many years. The Mizpah was renovated and restored 25 years ago, but in recent years had fallen into bankruptcy and been looted of its furnishings and appointments. The hotel had been the flagship of old Tonopah, and its sad downfall has been a blow to the tough old city. Three great jazz events are coming up in Las Vegas, Reno and Lake Tahoe. The 11th Annual Las Vegas City of Lights Jazz Festival will be held at Desert Breeze Park overlooking the lights of the Las Vegas Strip (corner of Spring Mt. Rd. and Durango) on Saturday April 24th 12 noon to 10:00 pm. The volunteer crew is getting ready to take Old 93 on an excursion run of The Ghost Train of Old Ely. 22-23 at several campus locations. Incline Village/Crystal Bay, Nevada, May 21-23, 2004. The Jazz Festival will showcase artists, Mick Martin & The Blues Rockers, Hucklebucks, Juggernaut Jug Band, Gator Beat,Cornet Chop Suey and more. And in Winnemucca, to strike a different chord, tickets are now on sale for a long-awaited concert, “The History of the Banjo in America” with Bill Evans in the Humboldt Room at the Red Lion Hotel on Friday, April 23 at 7 pm. In Railroad news: Boulder City’s new Railroad Museum is offering 7-mile train rides one weekend a month. 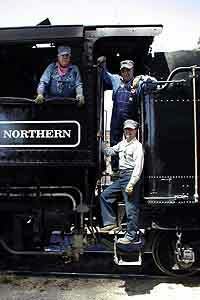 The Union Pacific Railroad built the Boulder Branch Line in 1931 to haul equipment for the construction of the great dam. 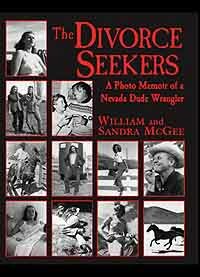 The Philadelphia Inquirer visits Virginia City. The Mary Jane Sisters are back on the road, and this time they’re visiting Eureka. Regrettably, the Jackson House has closed since their visit, but there are many other lodging options, including the Eureka Best Western. The railroad’s Pullman coaches, dating back to 1911, have been restored and air-conditioned, and there are open-air cars for those who prefer the baking heat. The route offers panoramic views of the El Dorado Valley, the Colorado River and the surrounding mountain ranges. Trains make four departures from the intersection of the Boulder Highway and Yucca Street. Tickets are $5 for adults, $4 for seniors (65 and older) and $3 for children 6 – 11. The museum plans to offer full time year-round excursions in 2005. Deepak Chopra strikes again: on Wednesday, June 23 at 7pm, Deepak Chopra will speak at the Pioneer Center in Reno. Ticket prices range upward from $25 to $125 (the latter includes VIP seating and reception and book signing). For more information call 775-686-6600. The Chamber of Commerce in Lovelock is sponsoring a photo contest with over $1,600 in prizes entitled “Capture the Spirit of Pershing County”. Entries will be accepted from one and all until June 30. Additional information may be found on the chamber web site. 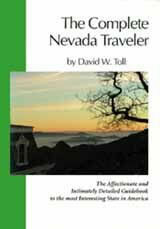 The authors are making an introductory book tour of northern Nevada in April.